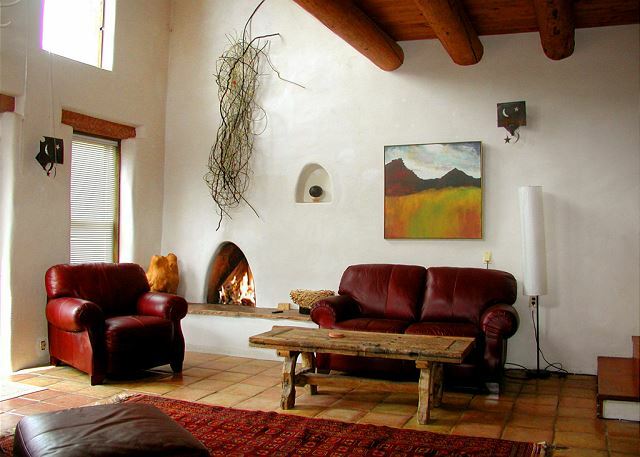 Casa La Ceja offers the best of all worlds – sweeping mountain and valley views of outstanding scenic beauty and seclusion with direct and easy access to dinning, shopping, skiing, hiking, and much more. 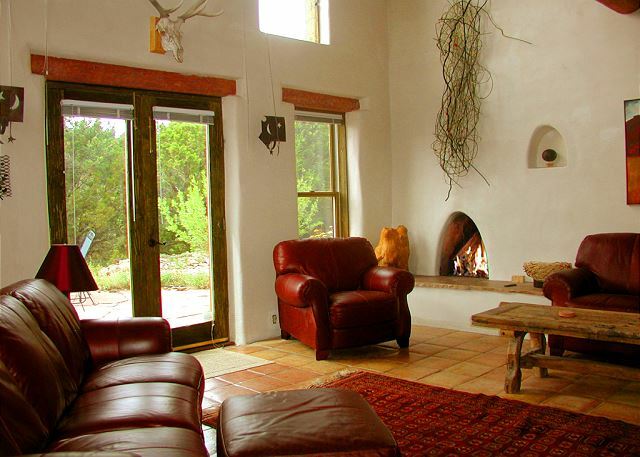 The house and separate studio guest house offer eclectic decor and abundant amenities with plenty of room to relax inside and out. 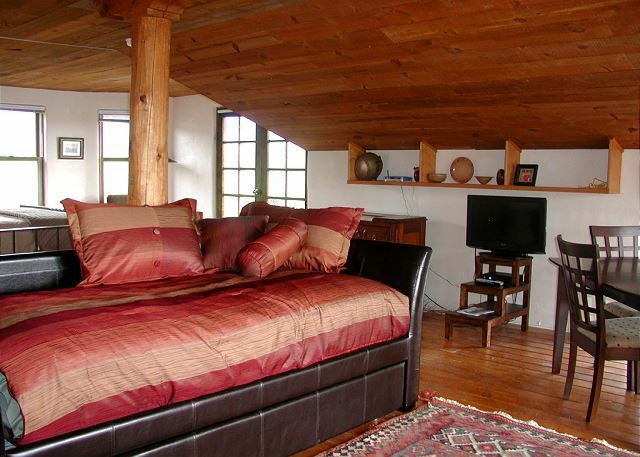 This unique, multi-level home features a King bed in the loft and queen bedroom downstairs, two full baths, a spacious living room with river rock gas kiva fireplace, separate dining room, kitchen, and sunny family room (sun room) with wood-burning cast iron stove. 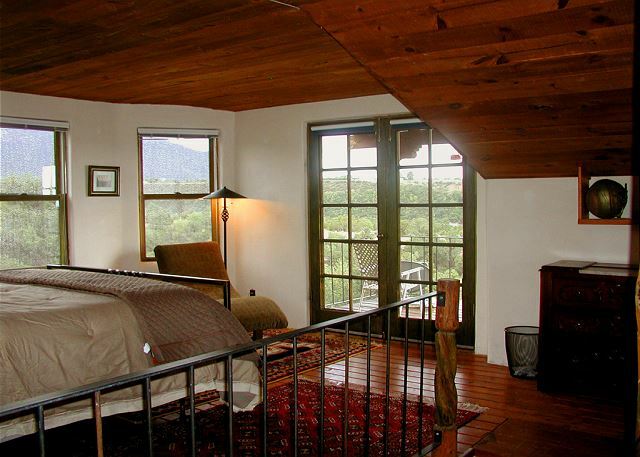 The upstairs study in the loft is a perfect place to nestle with a book, or you may decide to sit on the upper or lower decks to view the mountains or valley. A daybed with trundle adds sleeping for 2 children in semi open loft separated by the open stair way. 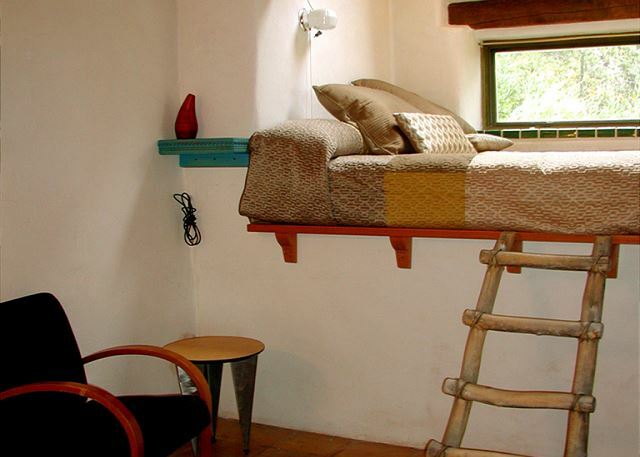 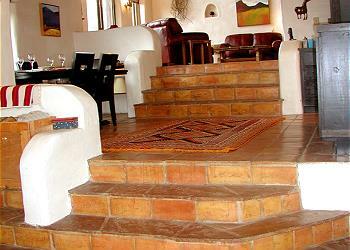 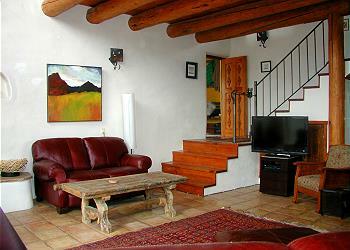 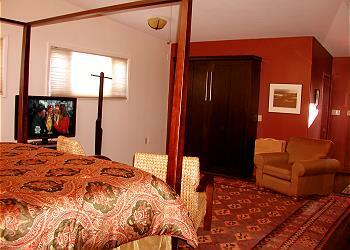 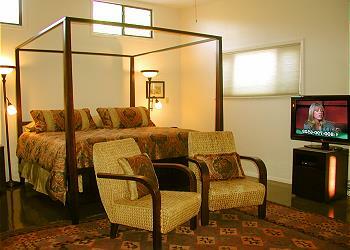 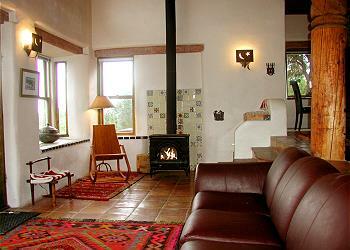 Casa La Ceja guest house is a studio with a spacious King bedroom + Queen Murphy bed and full bath. For guest convenience there is a dorm size fridge, microwave and coffee maker. 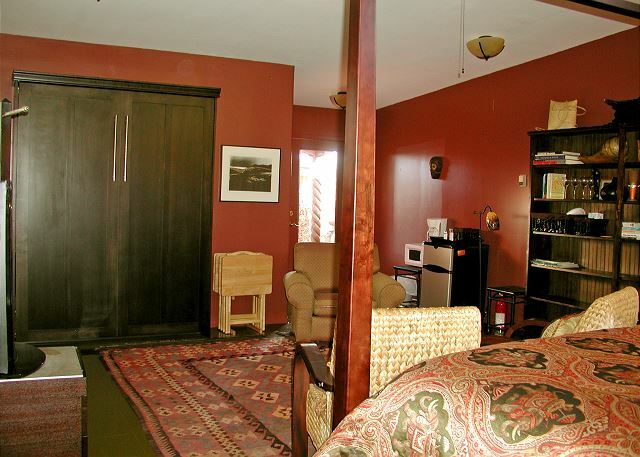 Wi-Fi High speed internet is available throughout the property along with 3 satellite TV's (one in the study in the dual loft, one in the living room and one in the guest house. 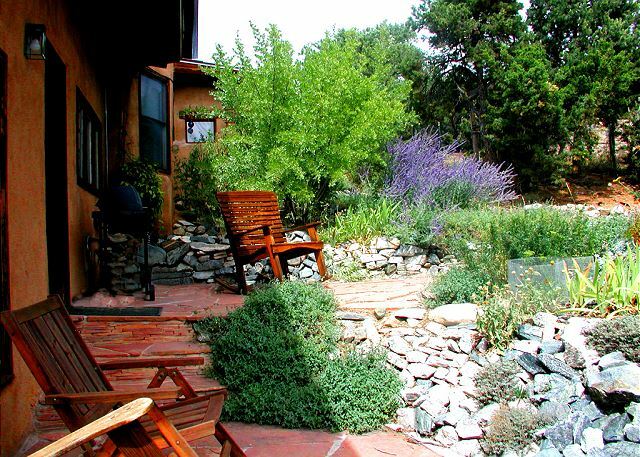 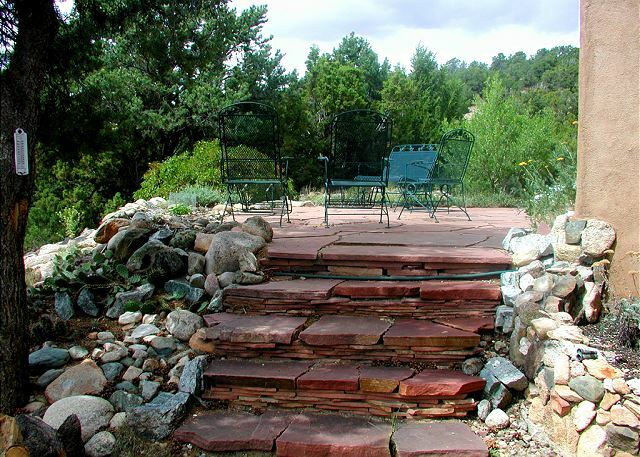 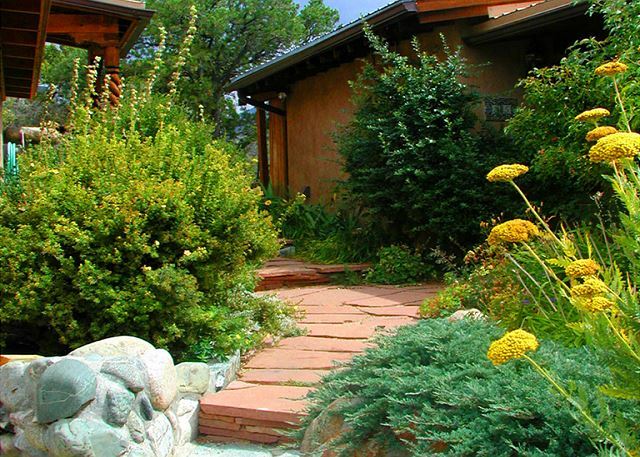 Stone walkways and lush gardens surround the house and lead from 3 private patio areas to the hot tub, deck, patios and guest house. The quaint village of Valdez is just .5 mile, with shopping and dining at Arroyo Seco just 3.5 miles. Taos is 9 miles or 12 minutes away. 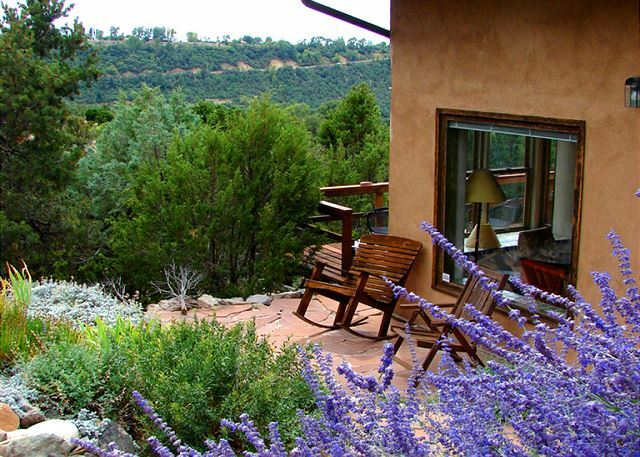 For those who love winter sports, some of the most challenging slopes you’ll find for skiing or snowboarding are at Taos Ski Valley 10 miles away. 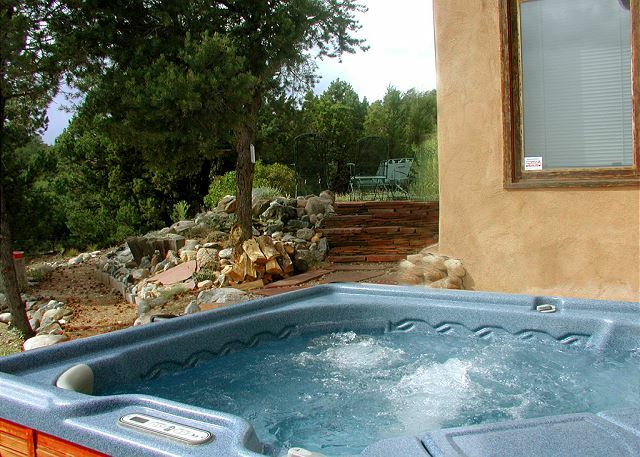 For the beginner and/or intermediate skier there are ample blue and green runs and Taos Ski Valley Ski School has been rated #1 ski school in the country for over 10 years. 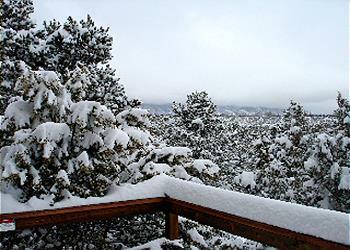 For those who like variety, other winter skiing is available in nearby Angel Fire, Red River and Sipapu ski areas. For water sport enthusiasts, the Rio Grande canyon and white water rafting are a must. 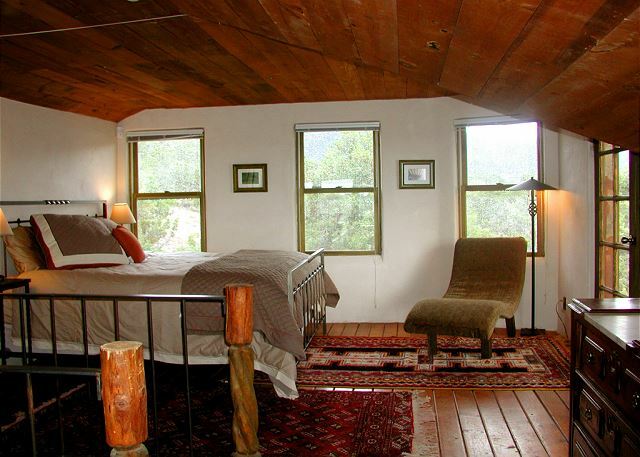 Trout fishermen will delight in small streams and the waters of the Cimarron River in the Cimarron State Park near Eagles Nest, the Rio Hondo (runs along Taos Ski Valley Road), Red River (north near Questa), and the Rio Grande. 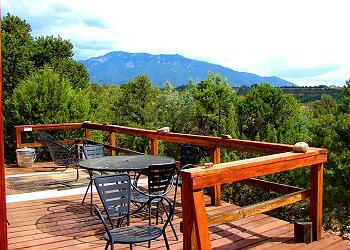 If you like to hike, head out the back door and you’ll be in the Carson National Forest before you know it. 4 wheel or chains required during snow.